CLOSEOUTS. 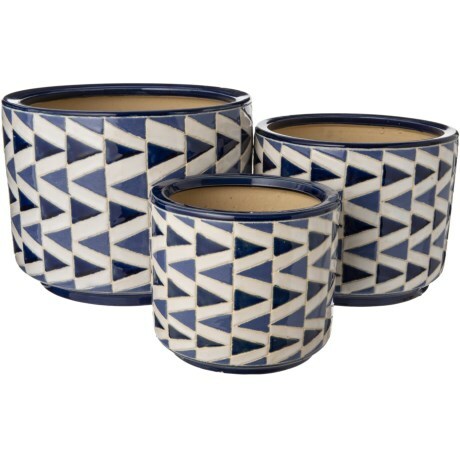 This set of three Three Hands ceramic planters adds a charming accent to your garden, patio and home decor. Available Colors: BLUE MULTI.